- Spread the yogurt on a plate. - Add the olive oil. - Generously sprinkle mint flakes all over. 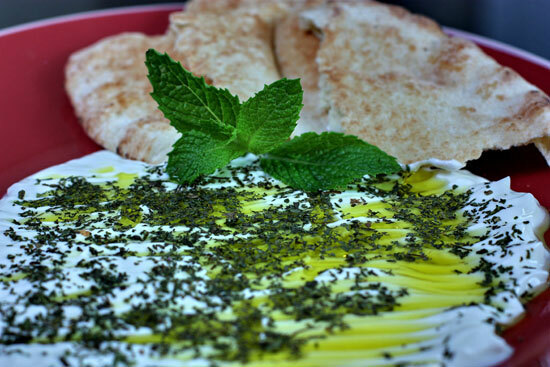 - Serve with warm pita bread. - Serve on a red or yellow plate for extra background color. - Top with a few mint leaves to make the dip look fresh and natural.